China's private space sector has achieved liftoff. 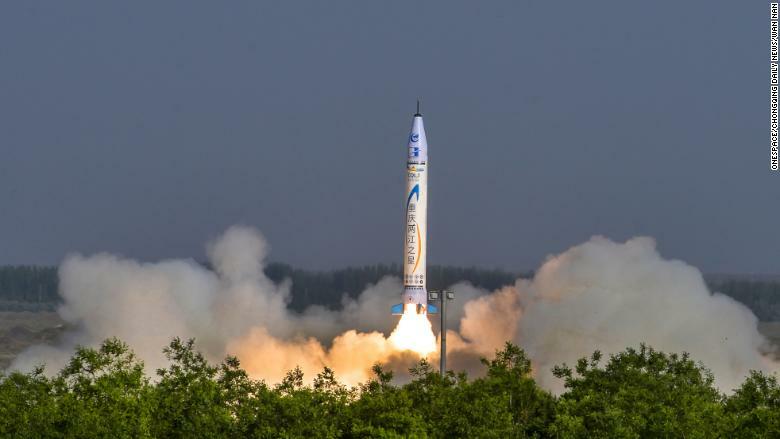 OneSpace, a startup based in Beijing, on Thursday became the country's first private company to launch its own rocket. It said its 9-meter-tall OS-X rocket successfully blasted off from a base in northwestern China. The aim of the mission is to collect data for a research project the startup is working on with the Aviation Industry Corporation of China, a state-owned company. Founded in 2015, OneSpace is often likened to Elon Musk's rocket company, SpaceX, a comparison that founder and CEO Shu Chang doesn't shy away from. "OneSpace's situation right now is very much like where SpaceX stood in its early years. 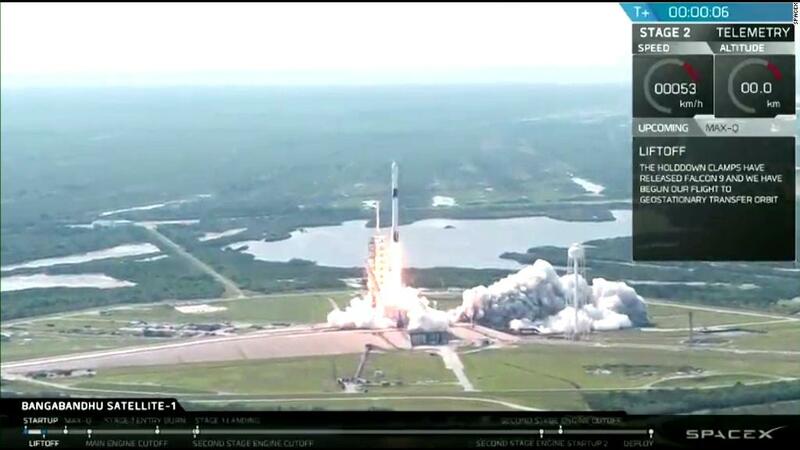 SpaceX is the first in the US. We're the first in China," he told CNNMoney in an interview ahead of the launch. "This is the first rocket developed and built entirely with homegrown technology," said Shu, who previously worked for a state-owned aerospace company and an investment firm. OneSpace is still a long way from matching the feats of SpaceX, which regularly launches big rockets that put satellites in orbit and then return to Earth. OneSpace's OS-X rocket is designed to carry out tests and research during suborbital flights. 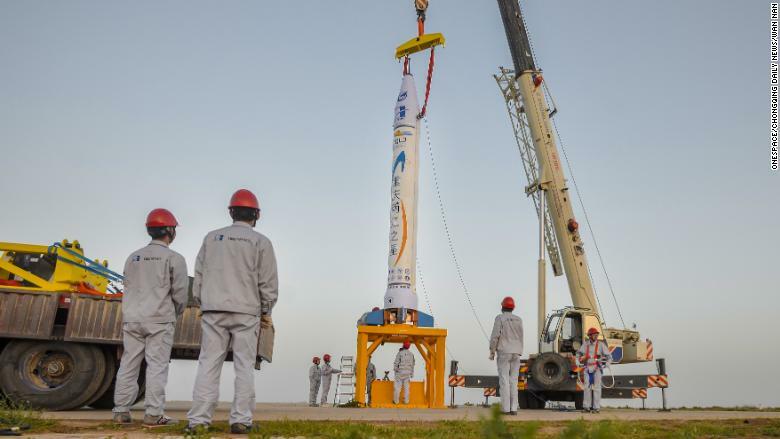 OneSpace's OS-X rocket lifts off from a base in northwestern China on Thursday. Some of the Chinese company's claims have been met with skepticism, though. Xin Zhang, a professor of aerospace engineering at Hong Kong University of Science and Technology, said he doubted the rocket is entirely OneSpace's own work. The company claimed on Thursday that the rocket it launched only took one year to develop and build. Shu had previously suggested it took three years. "That's supersonic speed," according to Zhang, who said it can take companies as long as 10 years. OneSpace says it has so far raised 500 million yuan ($78 million), which is a paltry sum in an industry that regularly swallows billions of dollars, Zhang added. "I think it's difficult unless they cut corners," he said. Shu says that like SpaceX in its early days, OneSpace is used to facing doubters. "When OneSpace was founded in 2015, we visited a lot of business insiders and experts, and they all said it's impossible," he said. The company claims it has saved money in part by setting a "low-cost goal from the very start," including using a specially designed electrical system that weighs 10 times less than those typically used in other rockets. OneSpace's 9-meter-tall suborbital rocket is designed to carry out research. Although the company stresses it's privately owned, it does have some links to Chinese authorities. It says it cooperates with Chinese military institutions on research and development and technical services. The startup also has a manufacturing plant in the southwestern city of Chongqing that is partly owned by the local government. Like a growing number of startups, OneSpace wants to use its rockets to help companies launch small satellites for a range of uses, including improving internet access on planes and trains. It's planning to roll out a line of rockets later this year that it says could help halve the cost of satellite launches. It faces competition from other Chinese startups that are working on their own rockets, including LandSpace and LinkSpace. Demand is growing for satellite launch services in China, according to Yang Feng, CEO of Spacety, a micro-satellite startup founded in 2016. In just the past few years, more than 20 micro-satellite developers have emerged in China, he estimates. "Satellites are at the core of the commercial space industry," Yang told CNNMoney in an interview. "Without satellites, the existence of commercial rocket makers would be pointless." OneSpace's ultimate goal is to make space accessible to ordinary people, according to Shu. Someday, the company would like its rockets to be able to take humans to space — but for now, it needs to stay "practical." "Many compare us to SpaceX but to be honest, the gap is more than a little," the CEO said. "No matter how good your story is, what matters is if you have launched a rocket or not. It's the benchmark of a rocket company. So this launch is crucial to everything — capital investment, media attention and the government's support."